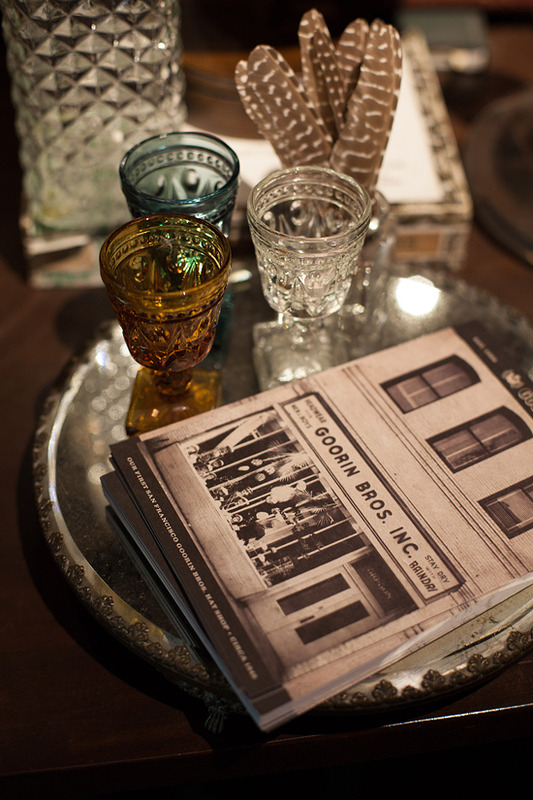 Here & Now | A Denver Style Blog: Nashville Shopping: Goorin Bros. When I was an undergrad, I worked for a small boutique in my tiny Arkansas college town. It was my first exposure to most brands that can't be bought at Sears (the department store de jour in my hometown), & I adored getting to put together outfits for the windows, select something special for each customer, & most of all check out all the merchandise for myself when it first came in from the various vendors. The beginning of each month I would put a huge rack of items on "layaway", paying it off with my paycheck. I never made any money per se, but I loved those clothes so much! 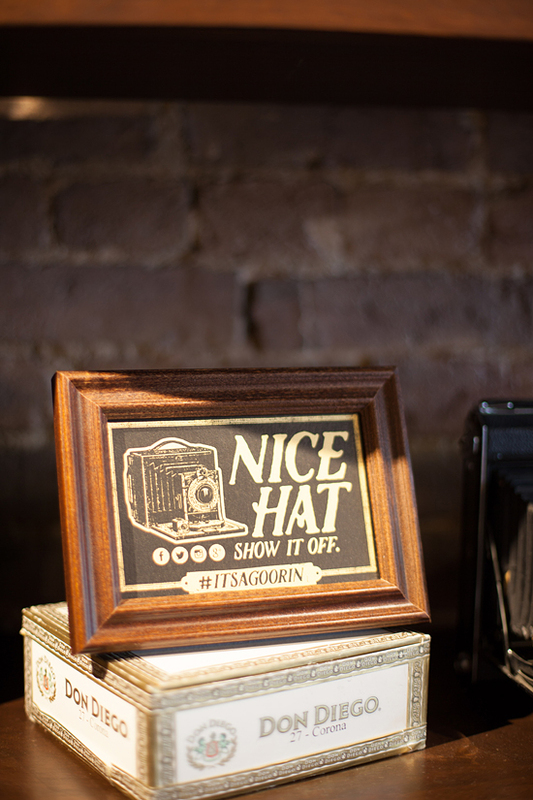 One of the brands that has stuck with me all these years later is a hat maker - Goorin Bros. 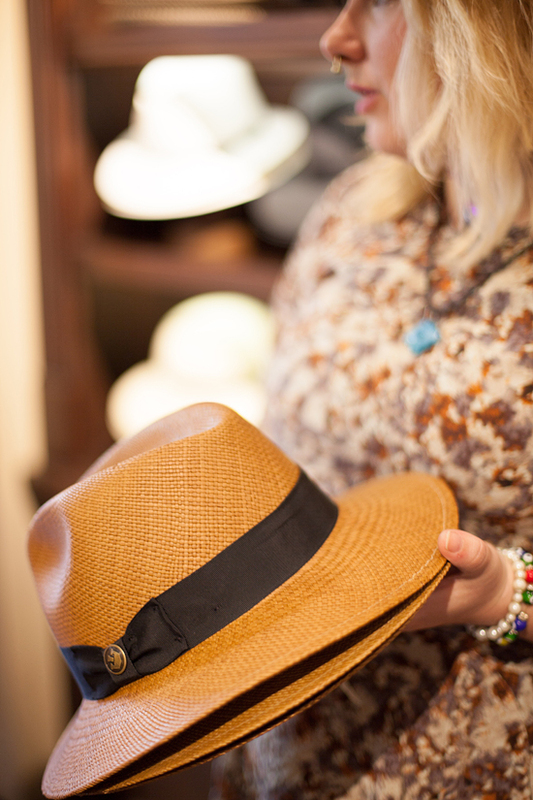 In college I had a straw fedora & a sunhat from them, but I never thought myself to be much of a "hat person". Almost 10 years later, I have now solidly attached myself to hats, almost never leaving the house during the Summer without one. 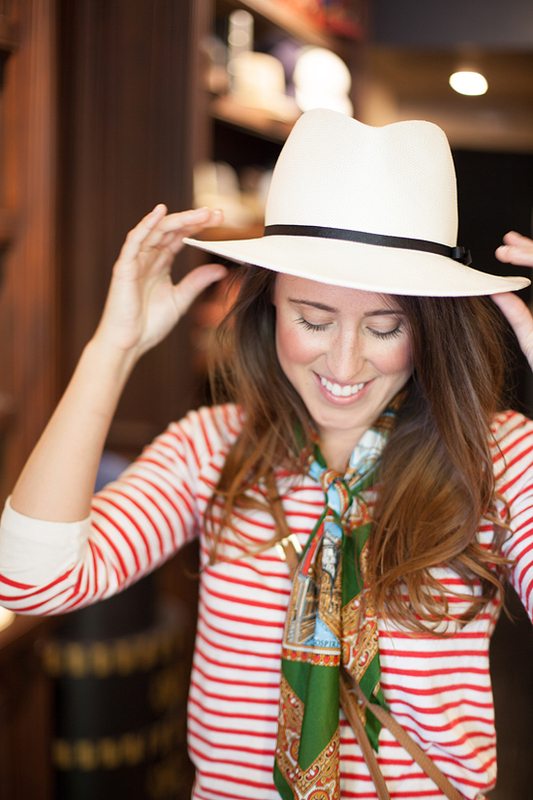 About a year ago was interviewed for someone's blog, & when I hesitated after being asked "what is your favorite accessory", the interviewer laughed because they already knew that my answer was going to be my Panama hat! I love that hats are making a comeback into mainstream fashion - & not the hats like the Backstreet Boys wore in the early 2000s - nope, I'm talking about stylish, well made, outfit making toppers! So when Goorin Bros. invited me down to their Nashville shop I was ecstatic! This 120 year old company started in Pennsylvania, but they have since spread to both coasts, with many amazing shops in between! 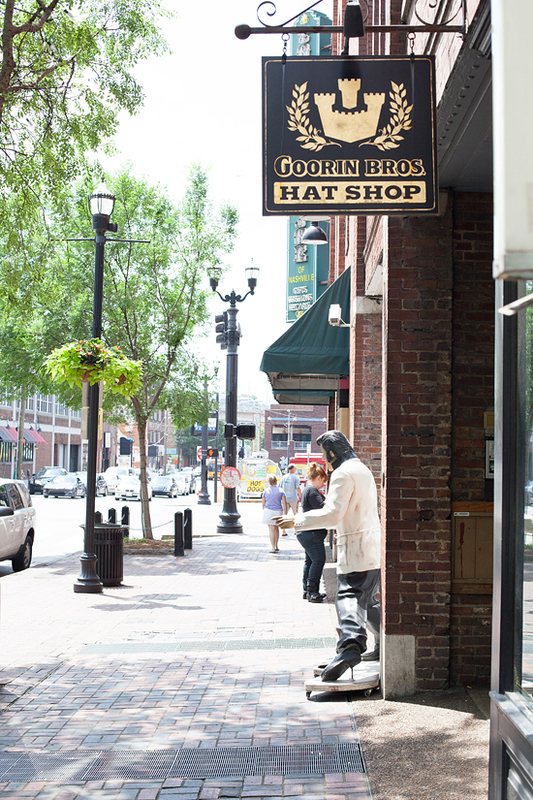 With many landmarks along the way, Goorin has a rich history (read all about it here), that they are now sharing with their renewed focus on reviving the local hat shop traditions. 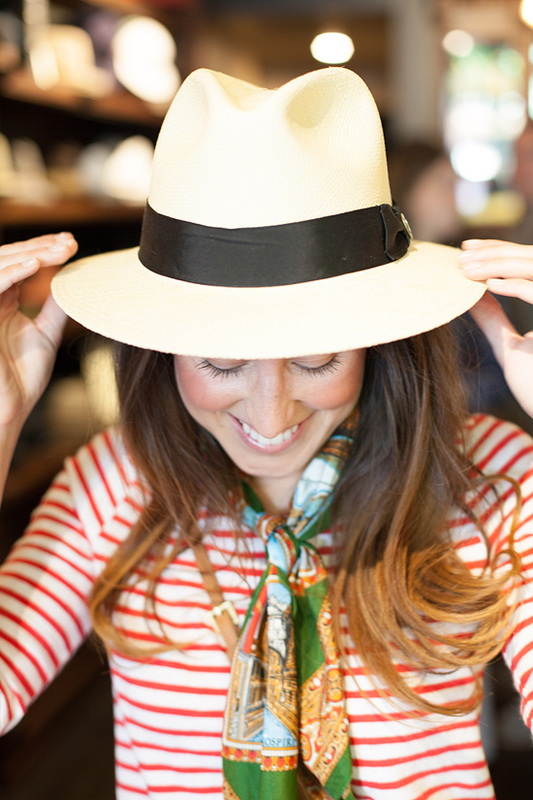 As the Panama hat has been my go-to style for the past few years, learning more about its storied past was so interesting! Assistant Shopkeeper Iszy filled me in on all the details about how the "Panama hat" is in truth Ecuadorian, but rose to popularity in the early 1900s due to President Teddy Roosevelt's visit to the new construction on the Panama Canal. Teddy brought the style back home with him, and unfortunately the misnomer stuck. 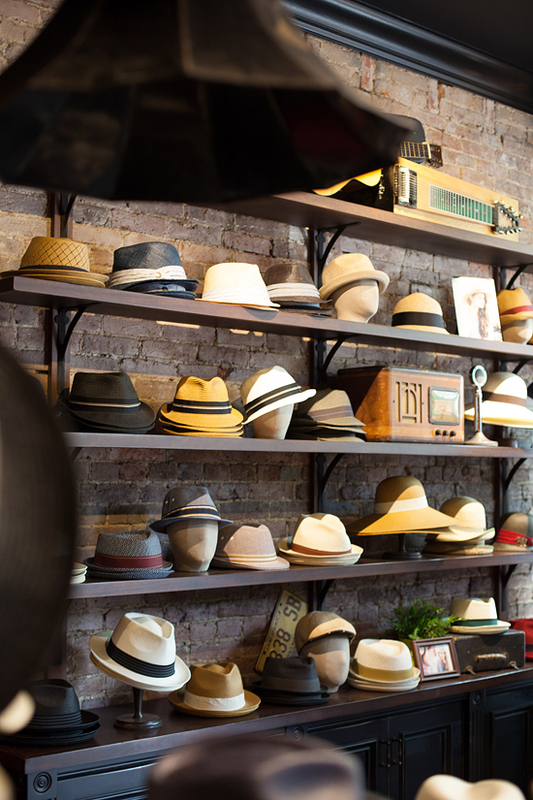 Goorin Bros. still sources their fine crafted Panama Hats from Ecuadorian artisans - hand-woven by generations of skilled craftsmen (and women!). It can take anywhere from 2 to 15 days to weave the full hat! 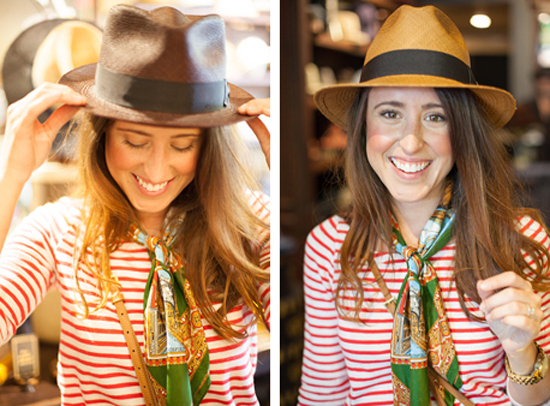 Pretty sure I took the liberty of trying on every hat in the store - especially these rich dark Panama style hats! 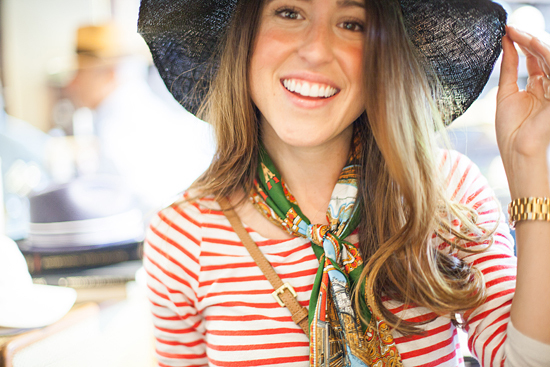 Trying on more of a sunhat style - that we decorated up with feathers, pins, and a silk scarf to get that Kentucky Derby look! 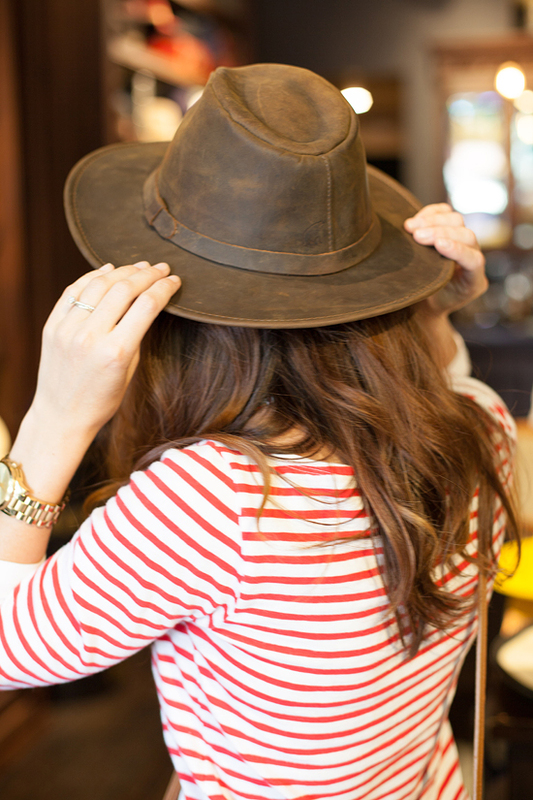 Unreasonably obsessed with this leather outback style hat! Would be so amazing for music festivals! Learning how to jauntily tilt my hat to the side! Turns out, there really are no wrong ways to wear a hat, but I did learn that a properly fitting hat should allow you to reach down & touch your shoes without falling off! Ding Ding Ding! Folks we have a winner. This pretty baby is coming home with me! 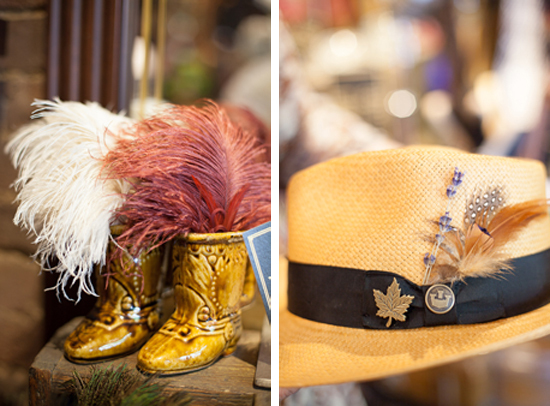 I am so happy that I got to visit the Goorin Bros. store in person, learning more about each hat, its history, & how it is made! The store was a piece of history & I couldn't believe how knowledgeable and friendly the staff were! 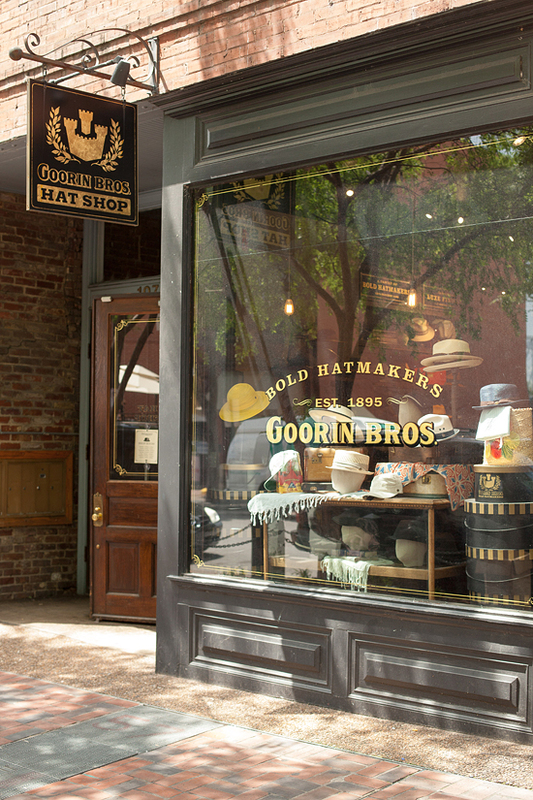 And if you are lucky enough to have a Goorin hat shop in your town, please go check it out! This is such a neat trade that should continue in our communities. I received a complimentary hat, but all reviews and opinions are my own! I love checking out local shops & can't wait to share more with you this Summer!